Although FutureGames should provide you with access to online games, it does that using advertising, which is why you should not consider this program to be beneficial or reliable. Our researchers have found that this program is identical to such ad-supported programs as WhiteWindow, DoReMe, and FlashBeat. If you keep yourself up-to-date with all virtual security news, you might know that these programs require removal. Needless to say, we advise removing FutureGames as well, and the sooner you do this the better, because any advertisements shown to you might be misleading and dangerous. 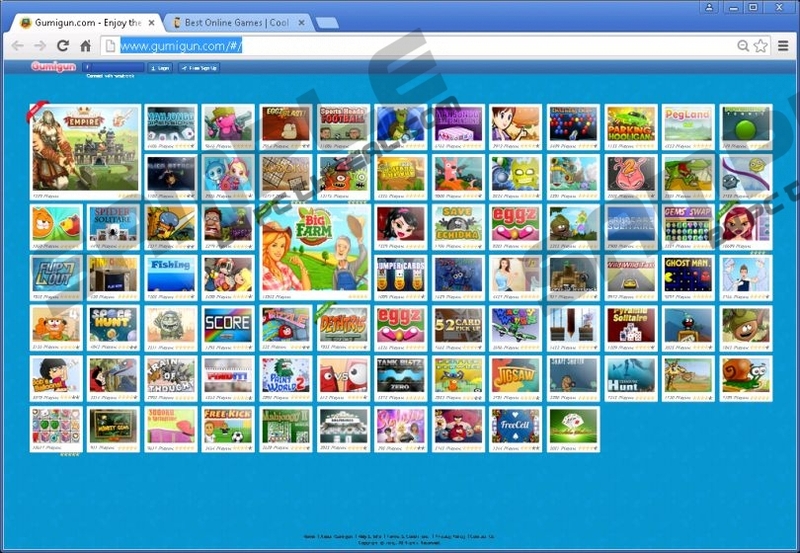 Most computer users download FutureGames bundled with malicious software that must be deleted as well. This adware does not have a download page, which is why it is not that surprising that the developers of this program rely on third-party distributors to spread it. The EULA (End User License Agreement) of this suspicious program is represented via t.theplaora.com/FutureGames/eula.html, which is very strange. This document reveals that FutureGames uses tracking cookies to learn more about you and enables third-party advertisers to expose you to online ads. If you fail to delete this adware from your computer, it is possible that third-parties will expose you to unreliable content as well. Once installed, FutureGames will inject all kinds of advertisements. Besides the regular commercial banner and pop-up ads, you might encounter links routing to gaming sites as well. Arcadegrab.com and gumigun.com are the sites that you may be routed to, and our researchers have found that these sites display potentially unreliable advertisements as well. These advertisements could trick you into disclosing personal information, signing up for fake prize giveaways, and even downloading unreliable software. If you have downloaded suspicious software already, we recommend removing it right away. Our researchers have found that FutureGames is operated using the background processes FutureGames32.exe and FutureGames64.exe. If you terminate these processes and delete the files in the FutureGames folder under %ALLUSERSPROFILE% (C:\ProgramData\FutureGames), the advertisement-supported program will be disabled and the unreliable ads will stop bombarding you. Luckily, there is an easier way to delete this adware from your operating system, and we will discuss this in the next section of this report. We are sure that you already understand why you need to remove FutureGames. If you are still uncertain, take into consideration that this adware does not offer beneficial services, and the ads it injects might open up security backdoors. There are many schemers and unreliable parties who are constantly looking for security backdoors to infiltrate malware and take advantage of careless computer users. You can uninstall FutureGames via Control Panel to eliminate this adware from your operating system. According to the information we have collected while researching this program, all components should be deleted when you uninstall this adware. We still recommend using a malware scanner to make sure that you do not need to delete FutureGames leftovers. It is also important to run a malware scanner to learn if you need to delete other unreliable programs. If you are having problems with manual removal, install a security tool that offers automatic malware removal. SpyHunter, for example, is a tool you can trust to protect your PC and eliminate computer infections. Click the Start button on the left of the Taskbar to access a menu. Select Control Panel to access a different menu and click Add or Remove Programs. Identify the unwanted application, click it once, and select Remove. Click the Windows (Start) button on the left of the Taskbar to access a menu. Open the Control Panel menu and select Uninstall a program (under Programs). Right-click the application you wish to delete from our PC and click Uninstall. Simultaneously tap Win+R on your keyboard to launch the RUN utility. Type Control Panel, click OK to launch this utility, and select Uninstall a program. Right-click the program you want to delete from your PC and select Uninstall. Quick & tested solution for FutureGames removal.